I'm not silent. I write in my head every day, quietly, solemnly, the tears slowly rolling down my cheeks as a drive somewhere or experience something that I think Sam would have enjoyed. I write all the time in my head, but at the end of the day I can barely stand to look at or pick up a computer. It is easier to just sink into the couch surrounded by friends and love and look far beyond whatever image is playing on the television. 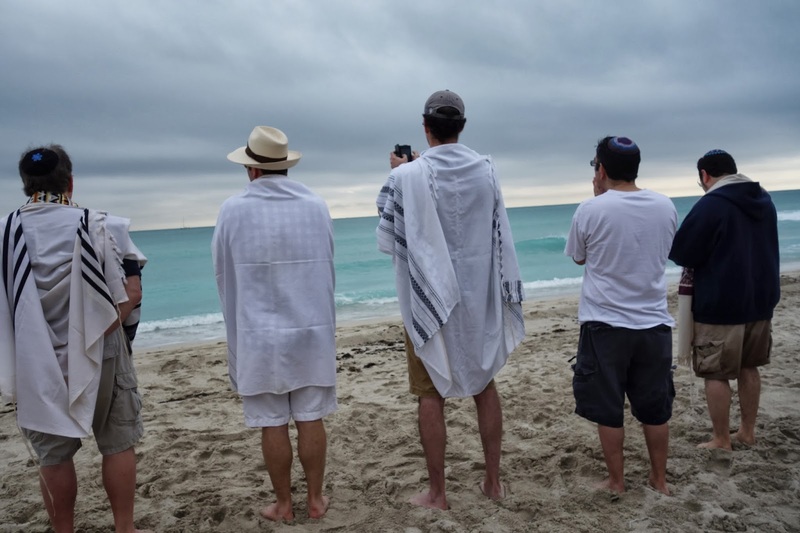 I went to Miami last week for a small rabbinic retreat with some close colleagues led by my rabbinic coach, Rabbi Steve Kaye. It was a week of firsts. It was my first time away from my family since Sammy died. It was the first time I got on an airplane. It was my first time back in Florida. It was the first time I saw my cousin and her family since they visited us at Disney and engaged Sammy in what was undoubtedly his last best evening and morning in his life. 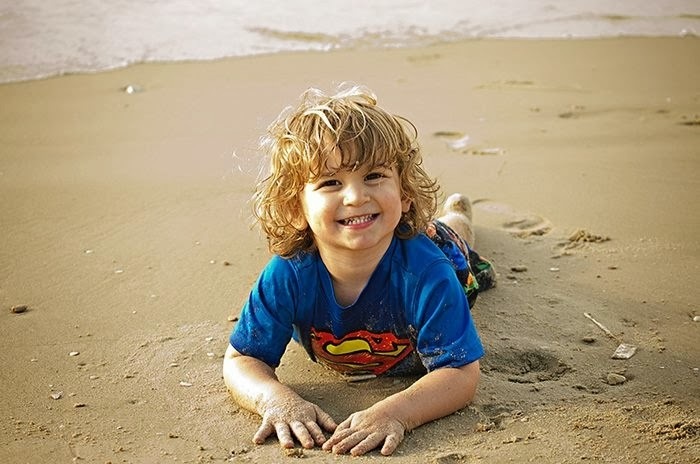 It was the first time I stood on a beach since I had last been on a beach in Israel watching Sammy play in the sand, and run in and out of the water. As the tears well in my eyes now I remember why I tend to only write in my head. It was a week of gratitude. I carved out time in the beginning and end of the trip specifically to see my aunt, uncle, cousin and her family in Boca Raton because I will never be able to express enough gratitude for the joy the cousins gave Sammy in their visit and the fire they lit in his eyes during a tiring and trying week. I can still see the fire in Sammy's eyes when I think back to that evening. He was all tucked into bed without a lick of fatigue to be seen on his face at 9:30 at night. He was riveted to the moment having his cousins surrounding him on his bed, next to his bed, across from his bed, asking him questions and engaging him in a conversation none of us ever wanted to end. Sam was his wonderful old self for the first time all week. It was the visits that week that made all the difference in the world. The parks could have mattered less to Sammy because his body betrayed him and he couldn't enjoy all the rides like he did in August (Thank God and the angels who made August possible too. Thank God for all the angels who carried us the whole way through our journey). But the guests made all the difference and the cousins created a moment for Sammy unlike anything any of us could have expected. In Miami, I was grateful to be surrounded by chevrei (friends) that I trusted with my life and soul as I took my first tentative steps onto sand, standing on a shore thousands of miles away from the last shore I stood upon, literally a lifetime away (only ten weeks ago). I looked out at the waves and the horizon surrounded by strength and love with no more answers than I had from the last eighteen months. I gain more strength each day, but I don't expect any more answers than I already have. Just questions, endless questions. In reality every day is a day of firsts without Sammy. It is all just a matter of time as we age forward towards life with only the memories to remind of us of how blessed we were and strength to remind us of how blessed we remain in each day surrounded by family and friends. 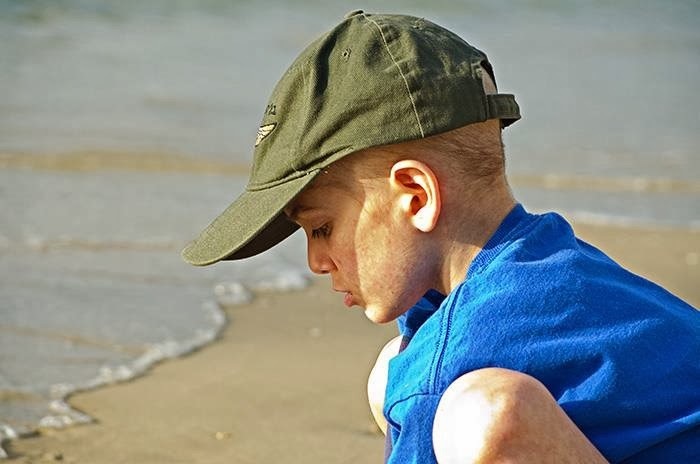 Sammy's memories remind us of how many blessings filled our days for all of his short 8 years. But now Solly's screams of joy, David's jokes filling the house with laughter and Yael's glee filling the house with celebration remind us of all the blessings that continue to fill our lives each day. Solly most of all pushes us to remember that we are all still here. His constant voice, needs and demands are never ending reminders that we are alive and have a responsibility to carry on. The voices, needs and demands of all my children remind me that life moves ever forward with or without me. So this last week was a week of firsts to begin filling a lifetime of firsts, inspiring me to write for the first time in a while. Sending you all much love and big strong hugs across the miles, and remembering the feeling of the sand beneath my toes as we stood together and watched your children play. I think about you often, Michael, and I think about Sammy every day. 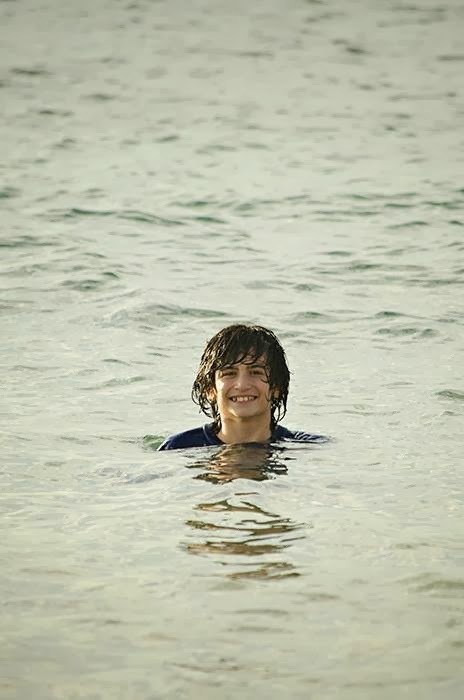 I'm so grateful that you had this recent retreat and the memories of Sammy with his cousins. My heart and my prayers are with you, with much love. I still stop by to let you know I care. Big Hugs, and Love. Here's to firsts! Thank you for opening my eyes, to see the blessings through the dark clouds. You honor him with every word. You keep him eternal and alive. I am grateful you have found this space, so we can honor your beautiful son along with you. We have some mutual friends on facebook and while I don't know your family personally, I talk about your family all the time to mine. We like many families struggle with 2 growing boys who bicker and tease one another all the time. Every time my wife gets upsets with their antics I remind her about Superman Sam. I remind her about the strength your family has and will continue to have. Thank you for continued words and sentiments, many people in this world can learn a thing or two from your family and your son Sam. You and your family are in my thoughts and in my heart, always. Beautiful post and important for everyone. Thank you for sharing. Thank you, Michael, for including us in your journey. We are here with you. Sometimes first comes at the beginning, like a first step; sometimes first comes at the end, like the winner in a race. So first to first, Sammy marks our time. "Rabbi," as I understand it, means "my teacher." Thank you for the lessons you share with us. Thank you to both of you for writing. It's hard to fathom how much I miss someone I never met...as are thousands of other people that your family touched. 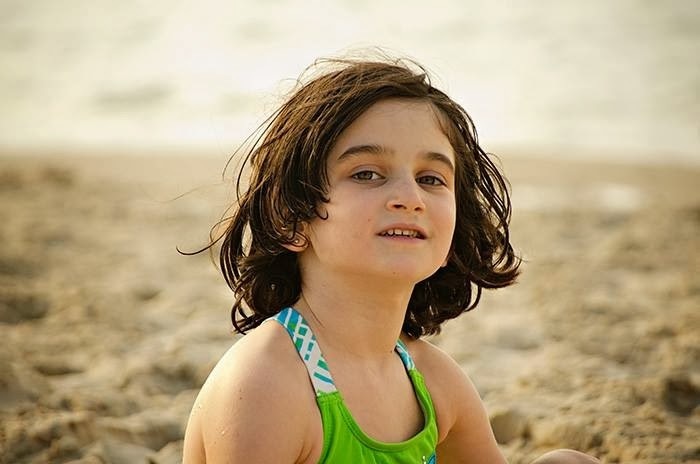 Sammy's spirit is so strong and will always live on, especially through writing.